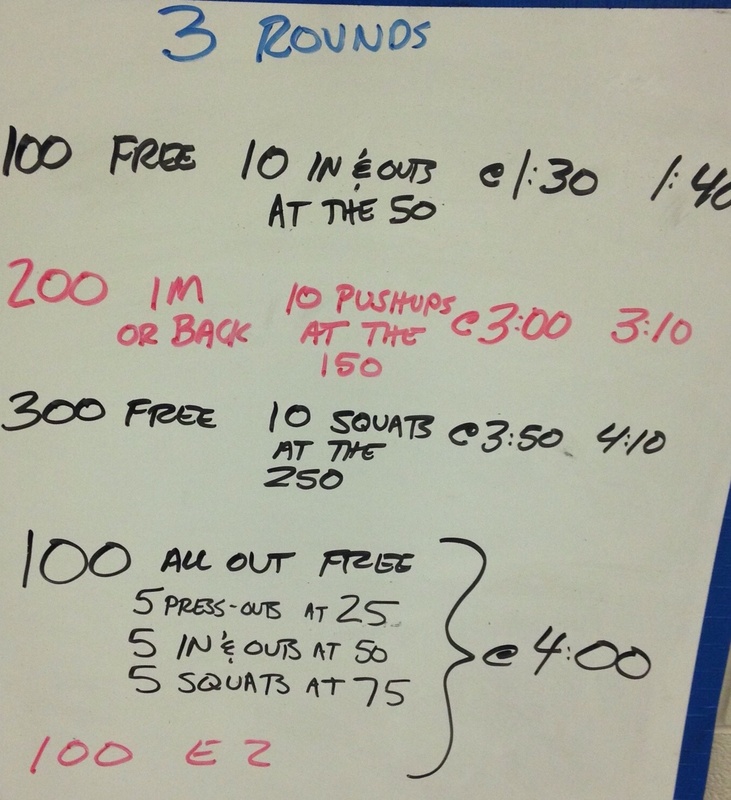 This was tough and competitive (a few of them cramped up), but an interesting 2km strength and endurance-based set that provided some fun and variety on a Friday afternoon, in a 6-lane 25m pool. This set combines elements of dryland with a normal swimming set. I like this as a change-of-pace and a way to challenge our athletes that they don’t see every day. 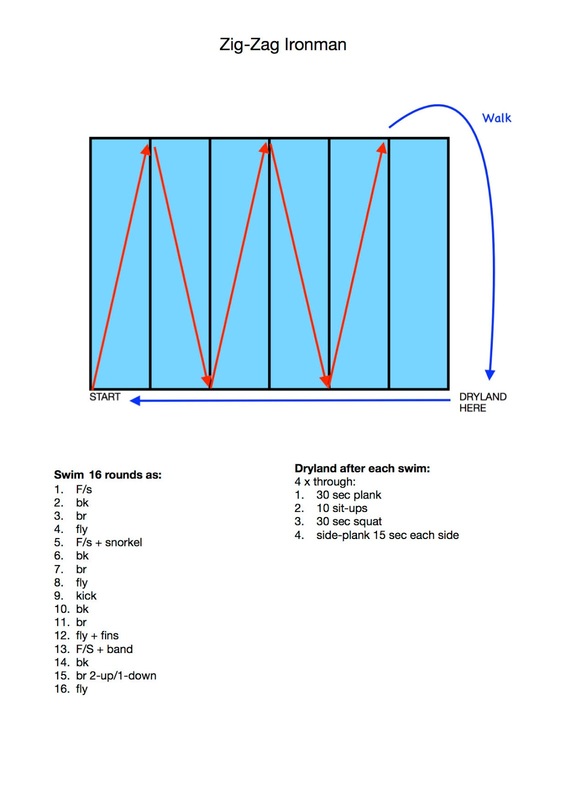 The dryland exercise comes mid-swim and throws in a bit of fatigue. We timed the 100 all out and really got some excellent efforts. “In & Outs” – athlete must climb completely out of the pool (both feet onto the gutter) and then climb back in. “Press-outs”- athlete lifts himself vertically up and down parallel to the wall. At highest point, waist is at water level. At lowest point, water level is at mid-chest.